Thanksgiving is one of the best holidays of the year; you can eat as much food as you want, drink yummy cocktails, and lounge around all day watching (or pretending to watch) sports and chatting with your family. However, not everyone can celebrate with family and that is OK! In lieu of Thanksgiving, have yourself a Friendsgiving with all your closest friends! Friendsgiving is the perfect way to show your friends how much you appreciate them and a lot less stressful than hosting for your family (no more unwelcomed questions about your love life from Aunt Martha). Never hosted a Friendsgiving before? Well, we’ve come up with a how-to Friendsgiving hosting guide to help you in your quest for throwing the perfect holiday celebration! Take the time to send your guests invites to your Friendsgiving gathering. This little extra action shows your friends you really want them to attend, and it’s a refreshing reminder that paper invites are much more elegant than e-vites (plus who doesn’t love getting mail?!). Make sure your invites include your address, RSVP-by date, and any instructions about bringing a dish or dessert to lessen your cooking load! Let’s be real, food is the most important part of this holiday, so make your spread the star of the night. Appetizers: Appetizers should be light finger foods that won’t fill up your guests before dinner. Charcuterie boards are the perfect appetizer option; you can customize it however you’d like and it offers a great number of options for your guests. Dinner: The sit down dinner is the highlight of the party. Serve food family style (in your most stylish serving dishes) and enjoy the quality time you have with your friends. Go around the table and give thanks for all things you appreciate in your life. Dessert: Dessert should be placed on its own table before dinner. This will alleviate the task of setting up the dessert table after you’re stuffed with turkey and potatoes. Offer coffee and tea so your guests can wind down and digest with a warm drink. Prepare a signature drink, such as a sangria or cranberry cocktail, for everyone to enjoy. 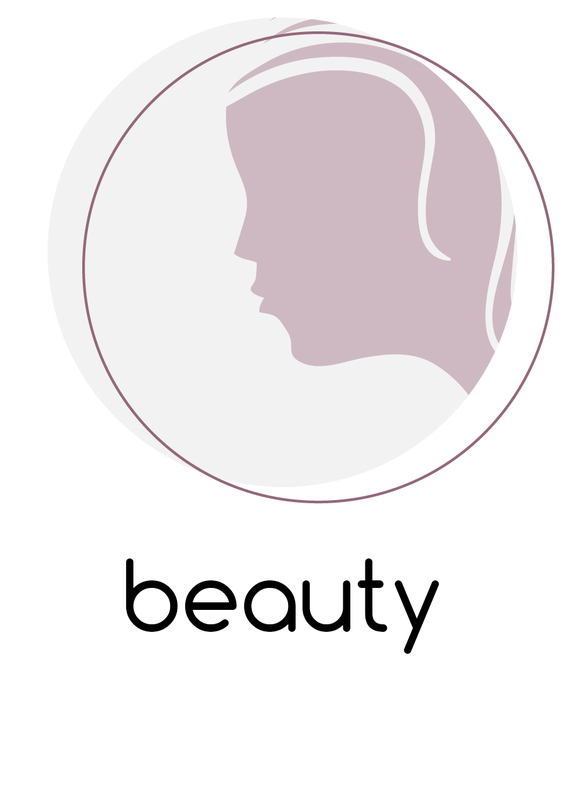 Have a selection of wine, beer, and non alcoholic beverages to cover everyone’s preferences. Now is a great opportunity to utilize that dusty bar cart in the corner of your living room! Your decor should be festive and sophisticated. Gravitate towards fall decor (leaves, gourds, pumpkins) and Thanksgiving staples (turkeys and cornucopias). Put up wall art, decorate the mantle, and add floral arrangements to each room. 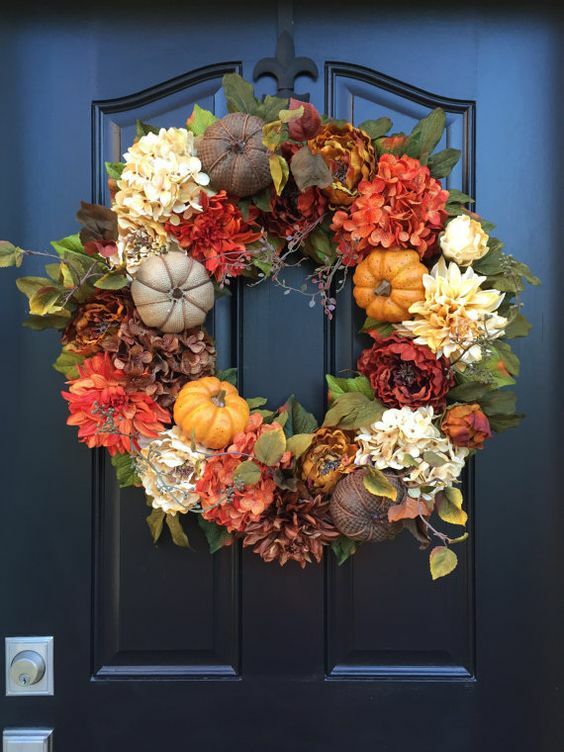 Place a festive wreath on your front door for a notable first impression of your decorative skills. The dining table must be inviting, comfortable, and beautiful. Let your table settings be neutral and add color with a table runner or centerpiece. 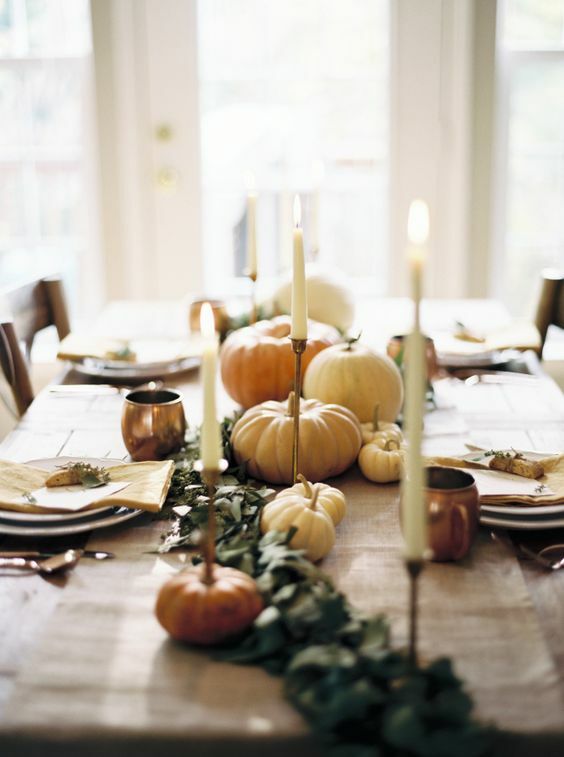 Decorate the table with festive items such as pumpkins and corn, and incorporate candles to elevate your tablescape. Make sure there is enough room for your serving dishes!